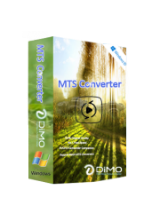 Dimo MTS Converter 3.6.2 was available as a giveaway on December 31, 2017! The best solution to convert/transcode/edit MTS clips to regular formats like MP4, MOV, AVI, WMV, and more. Ideal for editing or playback anywhere. Provides rich video editing features like trimming, cropping, adjusting effects, etc. How would you improve Dimo MTS Converter 3.6.2? Tried to use this program i got from here today (3/5/18) and it states that my "license has been banned" ?? I never used the program even one time. Tried to use this program i got from here today (3/5/18) and it states that my "license has been banned" ?? I never used the program even one time. Not good for business..
Just downloaded, installed, registered, and tested. Very, very easy; very, very nice. Just downloaded, installed, registered, and tested. Very, very easy; very, very nice. A keeper! Thanks! Installed and registered on windows 7 ok. The first file I wanted to convert, which I had done with other software a few days ago was a .mts but part 2, ie .mts1; I added the file and clicked edit as I wanted to convert a section of the file. The result was that the application tried to start another application called MEditor_Ex.exe and I received the standard error message from windows - MEditor_Ex.exe has stopped working "A problem caused the program to stop working..". I was able to convert the entire file without problems to mp4, audio and video were in sync but you may need another application if you need to trim the video to then required length. Will keep this on file as it is useful for the videos recorded with my TV box but it does not detect multiple file parts such as .mts1 .mts2 and they have to be loaded separately. once you start sharing a folder it is not possible to stop sharing the folder unless you exit the program, even if you select another path to share and press share the previous server remains active so you end up with another server running on another port, the new QR code then points to new server, presumably this can continue sharing new folders until the system runs out of resources? Søren Bang, I just tested your link. It works fine. But you have to scroll down to see where you can enter your mail address. After that, you see the key in your browser. You will not get an e-mail. Søren Bang, Yes it does. Try again then enter your email address in the box that says get free license. IP-adressen på serveren for www.mediadimo.com kunne ikke findes. My input file was not the best abut good enough to test. The output seemed to be fine. The quality was just as good as the original file as far as I could tell. The MP4 ended up being about 230mg. Now the output file choices are astounding. I think it may cover everything. There are 26 video outputs, also audio. It can also output to 4k, web, multitrack. I didn't test everything as there is too much for a simple test. Ipad, Itab Iphone and android people will also like this. What else? Output to TV, Game console files, VR. It includes a decent video editor plus it outputs to higher end video editors like Adobe Premiere, Sony Vegas, Final cut pro and about a dozen others. I did another test output to Premier and Movie maker. It made the file but I don't have those apps to test the file with. The program works and I think it works well. I'll be keeping it. The registration is not exactly as stated in the text file which states to follow a link, fill out a form etc. There is no form, just a spot to put in your email address. Noticed after that though that the code might have already been showing before I input my email address. Anyway I tested this program on a small MTS file I have from my Sony camera About a 425 mg file. The output I chose to test it on was an MP4 and a DIVX My input file was not the best abut good enough to test. The output seemed to be fine. The quality was just as good as the original file as far as I could tell. The MP4 ended up being about 230mg. Now the output file choices are astounding. I think it may cover everything. There are 26 video outputs, also audio. It can also output to 4k, web, multitrack. I didn't test everything as there is too much for a simple test. Ipad, Itab Iphone and android people will also like this. What else? Output to TV, Game console files, VR. 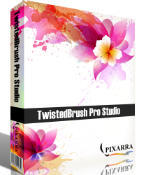 It includes a decent video editor plus it outputs to higher end video editors like Adobe Premiere, Sony Vegas, Final cut pro and about a dozen others. I did another test output to Premier and Movie maker. It made the file but I don't have those apps to test the file with. The program works and I think it works well. I'll be keeping it. Gary, ANY web page that accepts a user input for example an email address which is then submitted by pressing a button associated with the input field is called a FORM a FORM requires one or more data entry field and a submit button or action. May prove handy for converting files recorded by PVR systems (such as SAT or DVB-T receivers) which use those formats. Any Converter Free which handles many more formats. Bingo, it claims to work with ts files but it doesn't recognise mine. Shame, because that's the format my PVR uses. I'll stick with Any Converter Free which handles many more formats. That is Any Video Converter Free. Sorry. Downloaded and installed (Windows 8.1) without a problem. You will need to provide an (as in 'any') email address to Dimo Studios to get the registration code. No free upgrades; you can buy a life time licence for $9.99. After installation, a Dino start guide page will open in your browser - couldn't find a help file in the software, but it's pretty much self explanatory. The software is doing what it's claiming it's doing, although some features are pretty basic - the 'take snapshot' feature is only creating a picture from the frame, without any improvement. As for video editing features, you can adjust the brightness/Contrast/Saturation, change the size, add watermark, rotate it and convert to 3D (did not actually try this feature). However, since a needed it for converting the .MTS files from my Panasonic camera, it's a keeper for me. Downloaded and installed (Windows 8.1) without a problem. You will need to provide an (as in 'any') email address to Dimo Studios to get the registration code. No free upgrades; you can buy a life time licence for $9.99. After installation, a Dino start guide page will open in your browser - couldn't find a help file in the software, but it's pretty much self explanatory. The software is doing what it's claiming it's doing, although some features are pretty basic - the 'take snapshot' feature is only creating a picture from the frame, without any improvement. As for video editing features, you can adjust the brightness/Contrast/Saturation, change the size, add watermark, rotate it and convert to 3D (did not actually try this feature). However, since a needed it for converting the .MTS files from my Panasonic camera, it's a keeper for me. Happy New Year! "Transcode AVCHD/MTS/M2TS/M2T/TS files to editable or playable formats"
Just a quick clarification in case it helps anyone... Video files in the AVC/H.264 video format are both editable & playable as-is -- just not with all software. I don't think that statement is intentionally misleading, but I can see someone trying one or two apps that didn't work, & thinking that the video had to be re-encoded 1st. There's not as much timing info in AVC video files, and some software can get it wrong, dropping frames & losing audio sync, so that's something to watch out for. There are several types of video files that, as containers, can hold AVC/H.264, e.g. .avi, .mp4 etc., together with audio or just the video on its own. It's not uncommon for software to work with this type of video in some container formats & not others -- in those cases there are different tools to copy the video, with or without audio, to another container format without re-encoding & the quality loss that comes with it. If your video is .mts from a camera, some manufacturers have software to transfer video to your PC that will put it into another type of container file for you, e.g. .m2ts. NONE of that's to say don't use Dimo MTS Converter if you want to convert your AVC video to another size or format, or if you want to use the app for basic editing or any of its other features. Under Key Features: <i>"Transcode AVCHD/MTS/M2TS/M2T/TS files to editable or playable formats"</i> Just a quick clarification in case it helps anyone... Video files in the AVC/H.264 video format are both editable & playable as-is -- just not with all software. I don't think that statement is intentionally misleading, but I can see someone trying one or two apps that didn't work, & thinking that the video had to be re-encoded 1st. There's not as much timing info in AVC video files, and some software can get it wrong, dropping frames & losing audio sync, so that's something to watch out for. There are several types of video files that, as containers, can hold AVC/H.264, e.g. .avi, .mp4 etc., together with audio or just the video on its own. It's not uncommon for software to work with this type of video in some container formats & not others -- in those cases there are different tools to copy the video, with or without audio, to another container format without re-encoding & the quality loss that comes with it. If your video is .mts from a camera, some manufacturers have software to transfer video to your PC that will put it into another type of container file for you, e.g. .m2ts. NONE of that's to say don't use Dimo MTS Converter if you want to convert your AVC video to another size or format, or if you want to use the app for basic editing or any of its other features. Can ONLY import .mts, .ts, .m2t, .m2ts and AVCHD video files. Robopop, pretty clear in the description that it does only those files. Craig, Some might expect it to be a universal converter that includes those filetypes. Downloading and registration went smooth. All I did was enter my email on the form , a pop-up reveals your code. Copy and paste and it is done. Still checking it out with some old movies I have. Thanks GAOTD and Dimo. Looks good. Downloading and registration went smooth. All I did was enter my email on the form , a pop-up reveals your code. Copy and paste and it is done. Still checking it out with some old movies I have. Thanks GAOTD and Dimo. Looks good. Pl. send me key code . Ajit Kumar Verma, follow the link in the readme. scroll down to the spot where you can enter your mail address. The code is shown in your browser. Yiu will not be mailed. This seems very limited in the file types it will accept. It has rejected .ts, .mp4 and .mkv files. The only 3 I've tried so far. I won't delete it yet, in case somebody posts a glowing report of something it CAN do, but it's on the short list for the Recycle Bin. This seems very limited in the file types it will accept. It has rejected .ts, .mp4 and .mkv files. The only 3 I've tried so far. There are much more flexible converters out there. I use Any Video Converter (Free) I won't delete it yet, in case somebody posts a glowing report of something it CAN do, but it's on the short list for the Recycle Bin. MERCIER, you will not get a mail. You can see your code in your browser, after you have entered your mail address in your browser. Hi, strange customer, hmm... Homepage of this Company 'doesn't exist' (when clicking on link here that is), but instead results in downloading Dimo MTS Converter straight away, in my case 3 of them, so yes, strange!?.. My regular 'everyday' Canon Powershot camera (SX280 HS) produces video clips which are normally too massive to share, hence my interest, that, and also possibility to make short gif clips sounds promising, so will see yet if MTS Converter will ease these tasks and is worth keeping. Thanks, and Happy New Year to All here. Hi, strange customer, hmm... Homepage of this Company 'doesn't exist' (when clicking on link here that is), but instead results in downloading Dimo MTS Converter straight away, in my case 3 of them, so yes, strange!?.. Only after installing this Software - Dimo page actually opens to display message that can be found here: https://www.mediadimo.com/mts-converter/welcome Still, had to further download GOTD copy to activate it, because the other d/load doesn't contain Reg Key, or link to page where it can be obtained. After pasting code into registration window - Application closes and opens again and in 'About' window we can see this is version 3.6.2, so reckon that's registered copy (special Christmas one..) Before all above happened - I was trying to find out more about MTS format itself and in case that's not familiar to other folk, some info here: 'MTS is a file extension for an AVCHD (Advanced Video Coding High Definition) video clip format for high-definition video', and next link tells us which Companies/Camera brands support AVCHD format, so might be useful too: http://www.avchd-info.org/ My regular 'everyday' Canon Powershot camera (SX280 HS) produces video clips which are normally too massive to share, hence my interest, that, and also possibility to make short gif clips sounds promising, so will see yet if MTS Converter will ease these tasks and is worth keeping. Thanks, and Happy New Year to All here. I requested serial key, but it said giveaway campaign is expired, that was for registration with yahoo mail. I re registered with gmail and it was succeed. I requested serial key, but it said giveaway campaign is expired, that was for registration with yahoo mail. I re registered with gmail and it was succeed. The current link produces a download of the trial. Attention Giveawayoftheday: The link to the home page should be replaced by https://www.mediadimo.com/mts-converter The current link produces a download of the trial.